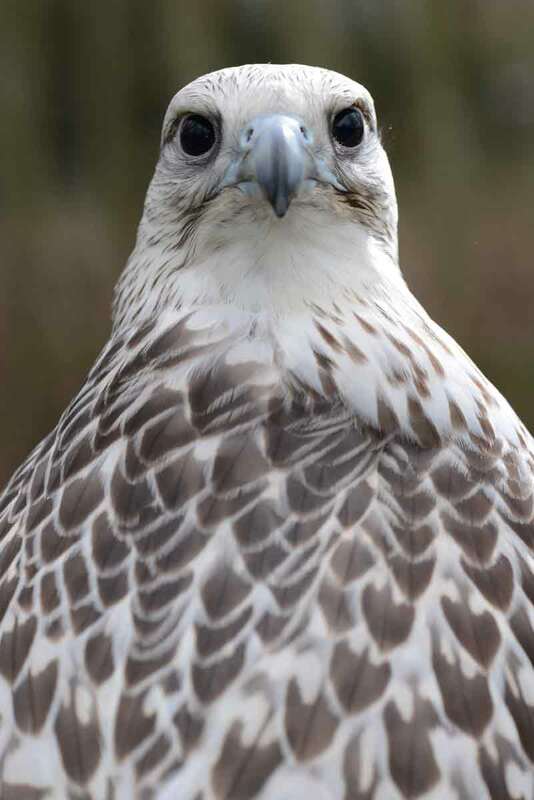 Freya is our one-year-old Gyr Falcon, related to our previous Gyr Falcon Isla. They are the largest Falcon species in the world, and naturally found in the Arctic. 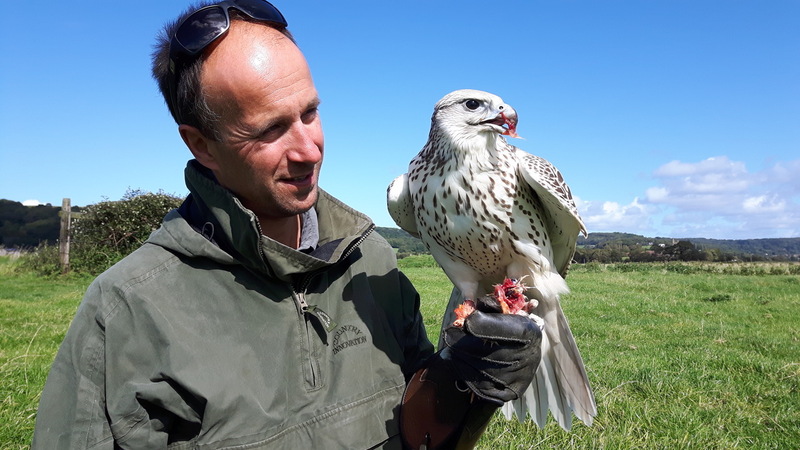 Freya is a very strong and capable flyer, and a very acrobatic Falcon when being flown to the swing lure.